An okay match. 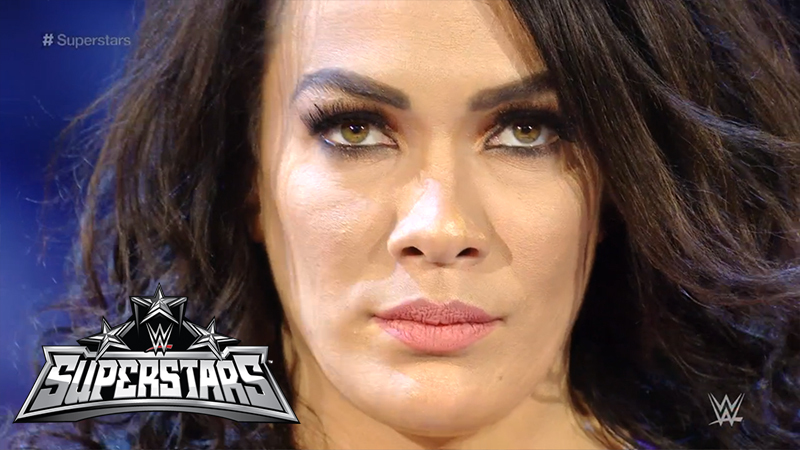 Alicia had a little offense, but this about Nia Jax showing dominance. Nothing surprising, and I didn’t really care for the finish (mostly because of the cover done by the winner). Paul Heyman challenges Goldberg to a fight with Brock Lesnar. From RAW, Jericho faced Rollins. From RAW, Heyman addresses Goldberg and why Lesnar didn’t challenge him face-to-face. From RAW, Goldberg returns and accepts the challenge to face Lesnar. Kind of a so-so episode. Not really worth going out of your way to watch. It wasn’t great, but it was fine, and it was better than their match last week.